For the past several weeks since Draco's return, Hamilton Dinger has been worried. As he watches over Raiya and Apollo City, he can't help but feel like he has too much to worry about. When Aleia reaches out to him, Hamilton finds that he must be able to handle the truth, no matter how inconvenient and demanding it is. Can he find comfort in Adonaias' own struggle with anxiety and fear? 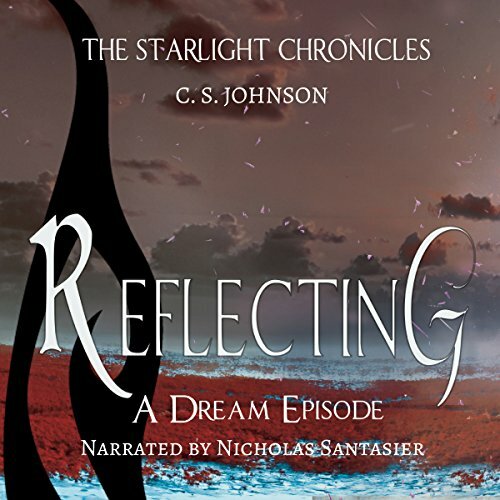 The Starlight Chronicles series continues with this short story set between Audiobook 5 and Audiobook 6 of the series from C. S. Johnson. REFLECTING OF WHAT WE USED TO BE. REFELCTING OF WHAT WE COULD HAVE BEEN! REFLECTING OF THE YOUTH OF MAN! This was an entertaining little short with insights into what motivates the main character. The narration was very good and it was great for listening during lunch.